Thousands of residents of Kaduna, today gathered at the federal high court to witness the trial of Former Kaduna States Governor, Mukhtar Ramalan Yero who was charged for money laundering which charges say is related to about over 700 million received as campaign funds for the 2015 elections. Most residents who gathered at the course premises were angered by the Mugshot which was used to parade Ramalan Yero last week. A PDP Governorship aspirant in Kaduna, Mohammed Kadede Suleiman who spoke with Nigerwatch Newspaper correspondent said, EFCC is now a political party, Buhari is their candidate and El-rufai is their INEC. 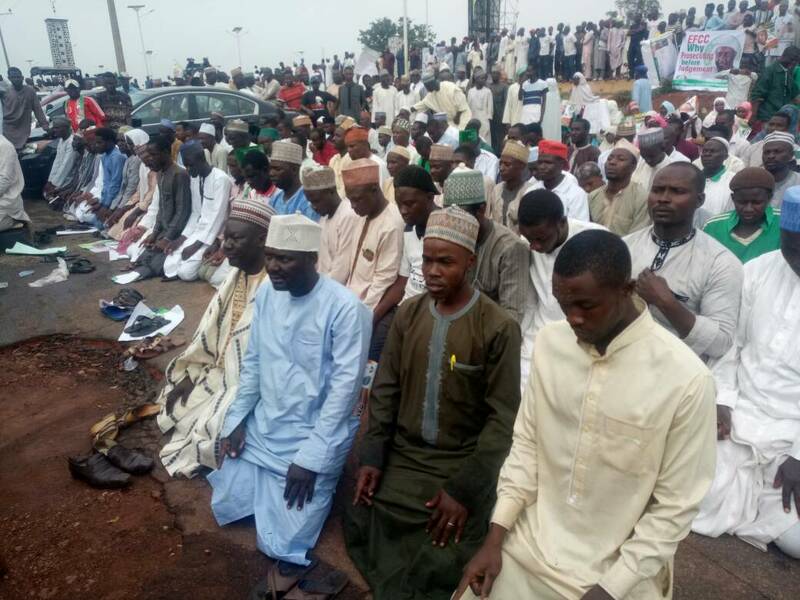 Other Residents who also joined in a special muslim prayer called “alqunut” said they have reported the injustice to God, they also said so many unprintable words and even rained curses on President Buhari, EFCC Chairman, Ibrahim Magu, EFCC and Governor Nasir El-rufai, after which a goat was slaughtered and several other prayers were held. Former Governor Yero has being granted bail.